Tired of ignoring the organizational problems that suppress growth and opportunity? Do you need someone who can ask the questions you cannot or will not ask in order to release your team’s individual and collective potential? Sign-Up Now for a FREE Assessment! In this complimentary assessment, Hegele will meet with your employees to identify opportunities for growth, and he will begin to uncover the symptoms of the overarching problem(s) that are stifling the growth of your company. 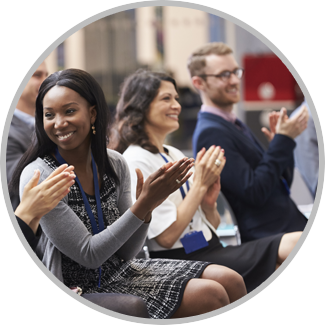 Watch highlights from several of Hegele’s incredible, captivating presentations, and see what an experience in your organization could be with Hegele!